"I had used Aloha Data Services before, but when I found out about their Data Analyzing services, I decided to test them out for my school surveys. Aloha went as far as designing, printing and stapling the questionnaires for me. After the questionnaires were completed, they analyzed them and returned the final data with a report in a timely manner. It couldn't have been easier." 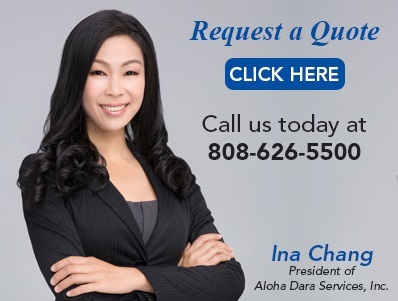 Beneficiary Name: Aloha Data Service, Inc.